I work at Sony Pictures Entertainment. Here are a few things that stand out to me about life on the lot right now. 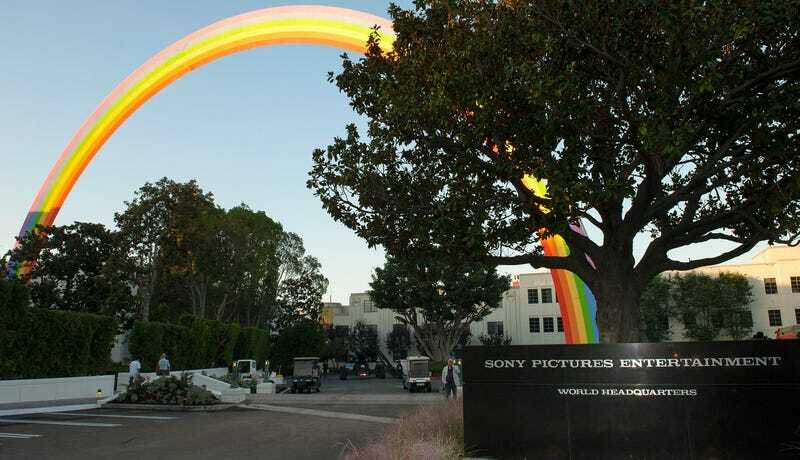 1) Every communication between the upper management and the rest of us has been carefully couched in wording that VERY much emphasizes Sony Pictures' innocence in the hack vis-a-vis security. I don't doubt that the hackers are talented and there is every chance that they would have broken in with great security, but it's more than a little bothersome to those of us with brains in our skulls that upper management tried hard right out of the gate to avoid any potential for legal ramification. The words "civil suit" are being whispered around the lot like the name Voldemort. 2) Sony has offered every current employee and their dependents, as well as former employees (though the scope is unclear) and their dependents, a year of professional identity theft protection. Initially it was just employees, then a few days later they offered to cover dependents, then early this week they sent an email stating that "alumni" were being offered the coverage. It's unclear how they planned to contact these alumni. I knew people who had moved on and was able to contact them through email and social media. Most people on the lot are appreciating this step, though to bring it back to point #1 the more cynical among us are looking at it as a way to stave off lawsuits. 3) At one of the all-hands meetings, we were asked if we wanted to stop the release of The Interview to play it safe. Nobody said yes. When asked if any of us thought it would make a difference, there were a few "no"s. It may have been the natural reticence of a crowd to appear weak, but clearly a point was being made. As upsetting as the possibility that we have been hacked out of spite from N. Korea is, none of us feels like bowing to pressure is the answer. 4) I think we all appreciate that Amy [Pascal, Co-Chairman, Sony Pictures Entertainment] and Michael [Lynton, CEO, Sony Pictures Entertainment] have been trying to communicate with us frequently, but ultimately NOBODY is giving us answers. This is leaving many feeling that they are either clueless or covering their asses. Neither option is particularly appealing. Today there were FBI consultants on hand to talk about online self-protection, but it was all very general. Everything we've been told has been very general. It's frustrating. More than fear, the predominant emotion most people are expressing is frustration. I understand that Amy and Michael fear civil suits, but they are almost making it worse by keeping us all out of the loop. If you're a Sony Pictures employee who wants to share your perspective on the recent hacks and their human toll, we'd love to hear from you. Email us at tipbox@gizmodo.com.